The Mapping Department is responsible for implementing and maintaining the District's mapping system and Addressing databases. The Mapping Department works in close coordination with Addressing personnel and surrounding agencies to assign addresses, develop maps and map layers for various users, and to enhance the overall ability for Lee County's 9-1-1 employees to locate any caller. 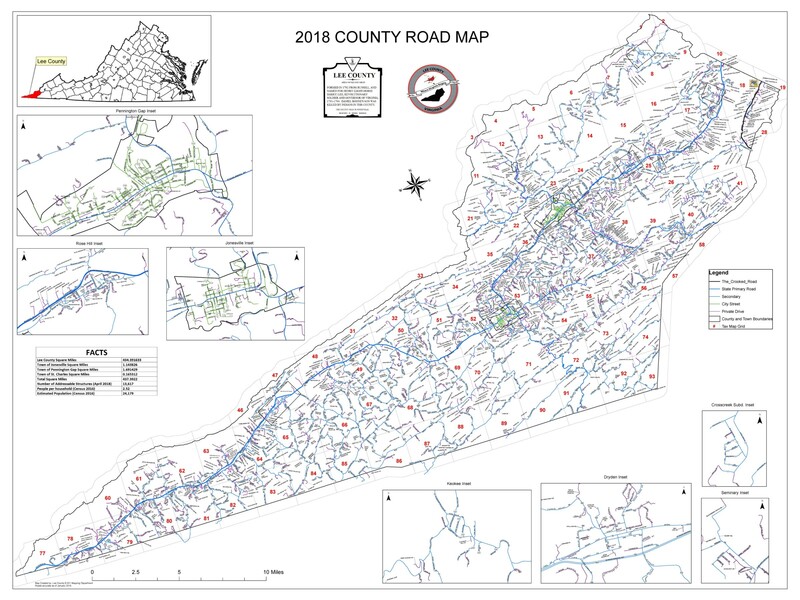 County Road Maps are now available for purchase, printed copies are $5 each, or click the picture for the online version. Contact (276) 346-7791 for details. Lee County's digital mapping information is available for request & purchase. Complete the Digital Mapping Request Form and email to the E911 Director.